Being able to combine multiple devices into just one is the ultimate convenience. Nobody wants to carry around a bulky camera and cell phone but now you don't. Boasting a professional quality f/2.0 aperture and 29 mm lens, the HTC One Max will be able to replace any point and shoot camera. Your camera and smart phone can now fit comfortably in your front pocket without any extra hassle. Besides the main camera which can shoot 1080p Full HD video like camcorder, the front camera is also an impressive 2.1 MP with an 88 degree wide angle lens which also has HDR capability. Also like the main camera, the front camera can shoot 1080p Full HD video recordings. This innovative smart phone also has Smart Flash which has five different levels of flash; this is automatically determined depending on the distance from the object. For music lovers, the HTC One Max has dual front-facing stereo speakers which project crisp sound and music with immense quality. The built-in amps bring to life HTC BoomSound, creating the loudest, booming base from any smartphone. Enjoy listening to music and watching videos while having the ability to share with friends and family with incredible sound quality. Providing you with the ability to surf the internet, play games, and multitask at incredible speeds is the Qualcomm Snapdragon 600 processor. 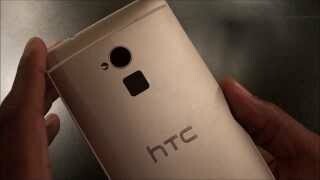 The HTC One Max performs at lighting fast speeds that make downloading games and music simpler than ever. No more frustrating lagging, freezing, and restarting your phone just to download an app.The graphics processing speed is now specially designed to enhance game play for a smoother experience. 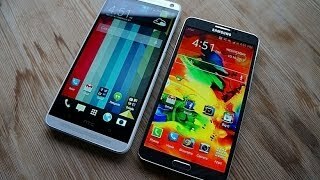 Everything is faster now even the battery charging which is 40% faster than other similar smartphones. The longer lasting battery is a 3300 mAh capacity LiPo design which can last up to 25 hours of pure talk time on a 3G network or 585 hours of standby all in one charge. 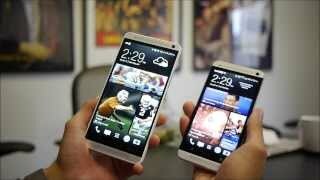 In total, the HTC One Max measures 164 x 82 x 10.29 mm which allows it to fit perfectly in your pocket. It also only weighs 217g which is barely enough to even realize you're carrying it. The whopping 5.9" screen covers almost the entire front side of the phone, creating a large viewing area for videos, games, apps, and multitasking. 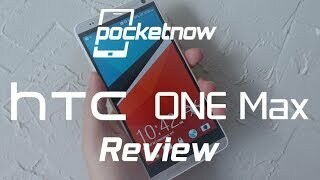 When it comes to top of the line advancements in cell phone technology, the HTC One Max has it all. 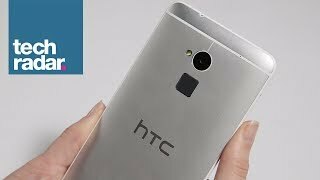 The ability to combine a fully functioning HD camera and video recorder into as small of a devise as the HTC One Max is a true accomplishment. It provides you with incredible convenience and reliability of a true two in one device, being able to completely eliminate a secondary camera. This saves time, money, and patience. The impressive speed is also among the best in the business, eliminating lagging and freezing during game play. 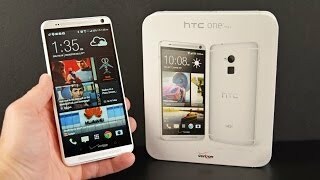 When first released in Kuwait in October of 2013, the price of the HTC One Max in Kuwait was almost KWD 300 . As of April 2014, the price has dropped down to as low as KWD 200 which is sold at Souq. 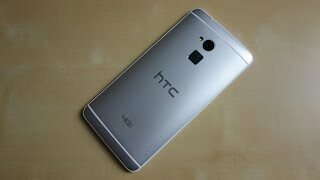 There are also 13 other stores in Kuwait which sell the HTC One Max at as high as KWD 200 such as Mygsm, Saletab, Disouq, Tejuri, Gadgetby, Dtcae, andn LetsTango. 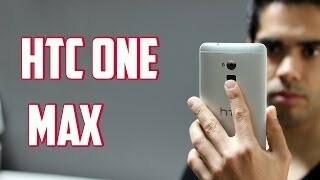 The one max Mobile Phone is manufactured by Htc and was added around November 2018 and is part of the HTC One Max series. This version of the Mobile Phone comes in Color : Silver , Capacity : 16 GB , Band : LTE , Sim Cards Slots : Single Sim , Special Features : Touch Screen. The model comes in 5 other variations including combination of LTE Band , 16 GB Capacity , Silver Color , Single Sim Cards Slots , Touch Screen Special Features. 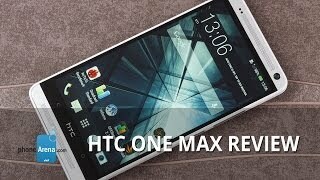 HTC ONE MAX "Real Review"